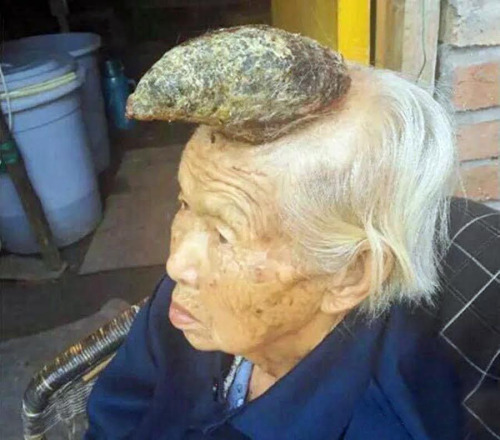 An Chinese villager has been dubbed “the unicorn woman” due to an abnormal growth on her head that looks like a large horn. 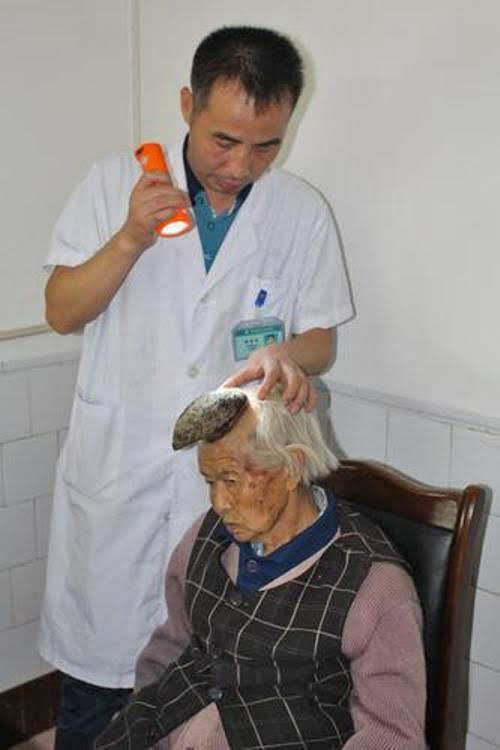 Liang Xiuzhen started growing something that looks like a “black mole” on her head eight years ago, according to her son Wang Chaojun. The 87-year-old, from Guiyan village in Ziyang City, Sichuan Province, was left surprised when two years ago it gave way to a finger-sized horn-like mass. Xiuzhen accidentally “broke” the small horn in February and currently, much larger, horn which is currently 13cm long began to grow rapidly in its place. “Now the horn hurts my mother and prevents her from sleeping. It also bleeds from time to time,” said Chaojun. Doctors diagnosed the so-called unicorn horn as “cornu cutaneum” (cutaneous horn), a keratinous skin tumour that has the appearance of a horn. Often small and benign, the growth can in some cases be much larger and malignant. Chaojun said doctors believe they can remove the growth through surgery, but the family has its reservations due to Xiuzhen’s old age and are considering other options. “My mother is old, and the horn is on her head which is a very sensitive area. I’m not confident [in the idea of] surgery. If something goes wrong [during surgery], it would be terrible,” he said. 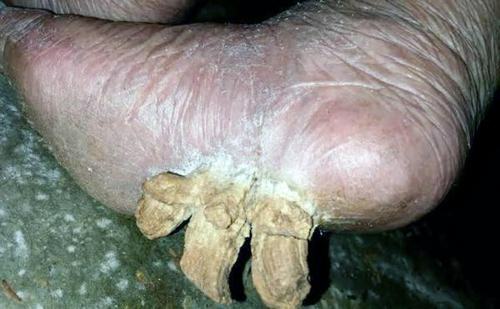 Only last month another pensioner made headlines after it was revealed she had three bizarre toenail-like growths sprouting from her foot and had appealed for doctors to operate. The unnamed woman from the town of Wadi Al Dawasir in central Saudi Arabia’s Riyadh Province has reportedly been to several hospitals and clinics, with none of them able to explain what she is suffering from.